Sales of single-family homes will rise modestly again in 2016 and median sales prices should be up 3% to 5%, trade groups and researchers say. While rising mortgage rates and a shortage of first-time buyers may temper that outlook some, the coming year should be another seller’s market for real estate. Despite an upsurge in construction, home inventories remain low and multiple offers are still common. While a 6-month home supply is considered a balanced housing market, most markets are well below that, some significantly. Moreover, supporting fundamentals are far more solid than about a decade ago in the pre-bust years of 2006-2007. With that as a backdrop, here are 10 tips for buying and selling real estate in a presumed up-market in 2016. A decision to pay a premium isn’t always an errant one, though, when you plan to live in the house long term. Rather than focus on overheated developments, look at comparable homes in neighboring areas with the same access to the schools and amenities that you value. Set a bid ceiling, and try to have a few other deals in the works so you’re less inclined to overbid. If you set a price from 5% to 10% above the market, you’re more apt to get an offer close to your home’s real value than if you start much higher and force your listing to go stale. However, if your home has better qualities than area comps, you have a bit more latitude. No need to pay closing costs or offer other incentives to the buyer, especially if it means keeping your in-demand home off the real estate market. For example, a sale contingent on the buyers selling their home is reasonable but only with a contractual escape for you, often called a “kick-out” clause. That gives you the right to continue marketing your home. If a less-encumbered bid comes in, you then offer the initial buyers a set time of 48 or 72 hours to withdraw their contingency. Are the best houses still getting snapped up quickly? Then don’t wait until you find a home to go loan shopping. Keep your preapproval letter, as opposed to a basic prequalification letter, in tow. Winnow your neighborhood choices before you shop. Line up an action-ready inspector for an immediate property visit. A heated market is causing sellers to question why they should pay the full 6% commission. When the co-op fee is low, buyers’ agents tend to be less than enthusiastic in showing such houses, and yours will typically take longer to sell. Consider hiring an independent inspector to oversee construction (at $400-plus). Builders may tell you not to worry because they’ll hire one. Ahem! And, be sure the builder is established and that you research online reviews, complaint pages and consumer ratings. Ask specific questions about the crew’s experience and certifications. Upgrades rarely pay for themselves, but there are 2 spaces that can make or break a home sale: the kitchen and master bath. Because kitchens are the heart of the home, or the “new living room,” make yours homey. Hide the coffee maker and toaster. Add simple decorative touches to the wall behind the sink. Sure, new granite countertops and appliances are optimal, but new hardware for cabinets, new faucets, new lighting fixtures and fresh (neutral) wallpaper are inexpensive touches that carry weight. Thoroughly scour and depopulate the fridge and take magnets off it, please. For bathrooms, always display a sparkling bathtub and commode. A new tub liner, or “shell,” can make that marred tub look like new and save you from replacing it. A new faucet, new lights, fresh caulking, a new towel rack or new mirror may be in order. Clean out the medicine cabinet. Of course, this doesn’t mean you shouldn’t declutter, depersonalize, paint and scrub the rest of your space, too. Origination fee: On a $200,000 mortgage for a $250,000 home, assuming 3.5% interest and no points, you’d pay the lender about $1,800. Home inspection: Even if the mortgage insurer doesn’t require one, get one for peace of mind. Property taxes: You’ll usually pay a few months upfront. Other pre-occupancy costs should include home insurance, title insurance and deed-recording fee, and possibly title insurance, survey costs, credit report fees, flood insurance and homeowners association dues/insurance. On that $250,000 home, allow an extra $5,000 or more atop the sale price. You’re getting multiple offers on your home, with several over asking price. Wow, that was fast! But can you find your next home in time to move once you sign? If not, one option would be to request a lease-back from the buyer, allowing you to remain in your old home for the time you need to shop for the replacement. This will be contingent on when the new owners need to occupy, and the period is usually limited to 60 days. 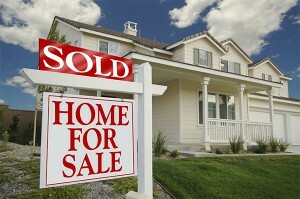 The other option is to slow the selling process by asking for a longer period before closing. Whatever you do, get your prospects and finances lined up (see tip No. 3!). Yes, a seller’s market swings 2 ways! Things to look for include proximity to a new or resurgent business center, the addition of a major employer, a light-rail station, a city cleanup initiative, young people moving there, crime watch and other neighborhood groups being formed, multiple renovations underway and other up-and-coming neighborhoods abutting it. New retailers, restaurants and other commercial tenants are also a good sign. Research by RealtyTrac shows that homes in ZIP codes that have a Trader Joe’s grocery store appreciated 40% on average since the homes were last purchased. Homes with a Whole Foods nearby appreciated 34% on average. Thousands of would-be sellers and buyers are agonizing over how they can time their next sale or purchase to coincide with the “pop” of this housing bubble, either by selling soon for optimal profit or swooping in with cash to pounce on post-pop pricing. Most real estate cycles don’t explode like the last one; they just deflate slowly. Real estate continues to be a reliable long-term investment prone to usually modest peaks and valleys, done on a deal-by-deal basis and subject to local economies.